By: Code This Lab S.r.l. Thank you for purchasing our game. If you have any questions that are beyond the scope of this help file, please feel free to email via user page contact form here. Thanks so much! Rolling Cheese is a HTML5 Physic Game. This little mouse is starving! Get him the cheese to pass the levels. Click breakable objects to destroy them and get the cheese to the mouse. Collect the strawberries (max 3 per level) to gain more points! Just warning that for very wide screens, the game may not be perfectly full screen. The game is fully compatible with all most common mobile devices. Sounds are enabled for mobile but we can't grant full audio compatibility on all mobile devices due to some well-know issue between some mobile-browser and HTML5. So if you want to avoid sound loading, please read Disable Sound section). WARNING: Sounds can't be enabled for Windows Phone as this kind of device have unsolved issues with 'audio' and 'video' tag. This folder contains the full source code that you can edit as you need. This folder contains the obfuscated version of the game. WARNING: you should use this version if you don't have to edit the original game. This folder contains the readme of the game. To install the game just upload on your server the game folder live_demo. Game Embedding: The proper way to embed the game is in a full-screen web page or in an iframe. In the first case the game will fit the screen size, in the second, that of the iframe. If the iframe size matches that of the screen, the game will fit accordingly. The alignment will be proportioned to the aspect ratio of the game. 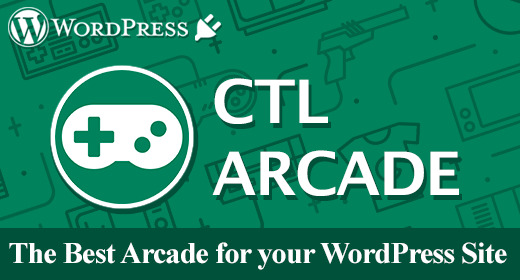 To install the game in a WordPress website, we suggest to use our plugin CTL Arcade . This game have the canvas tag in the body. The ready event into the body calls the main function of the game: CMain(). The game use two CSS files. The first one is a generic reset file. Many browser interpret the default behavior of html elements differently. By using a general reset CSS file, we can work round this. Keep in mind, that these values might be overridden somewhere else in the file. CMain: the main class called by the index file. CreateJs is a suite of modular libraries and tools which work together to enable rich interactive content on open web technologies via HTML5. Howler is a library that manages audio. In this section will be explained all the most important functions used in CGame.js file. This function attach on the canvas some game sprites like background (oBg) and the GUI. This function is called when user want to restart the game. This function is called when user want to come back to the menu screen. This function adds all the objects in the current level. This function will check if the clicked block can be destroyed. This function check if the level can still be completed or not. This function will be called when the player loses the level. gameWin()< br> This function will be called when the player wins the level. You can easily change all the game graphic, replacing all the file you need in the "/sprites" folder. Just respect file format (.png or .jpg) and size if you don't want to change any code line. CTL Arcade will allow you to add a real arcade on your worpress website, in this way your users will be more involved and will stay connected longer. It's possible to add Ads banner at the beginning of each game and at the end of each level. This will give you a new tool to increase your revenues. Your own users will promote your website sharing their scores on the main Social Networks, with no extra costs for you. You'll get by default the score-sharing on Twitter. To add Facebook just follow the guideline below. 3 widgets can be added in your pages through a shortcode. This plugin is designed to work only with games built by Code This Lab. Once again, thank you so much for purchasing this game. Feel free to contact us if you have any questions or issue relating to this game. No guarantees, but we'll do our best to assist.